Black History Month 2013 – Get Healthy DEALS! Posted by Marguerite	| February 1, 2013	. 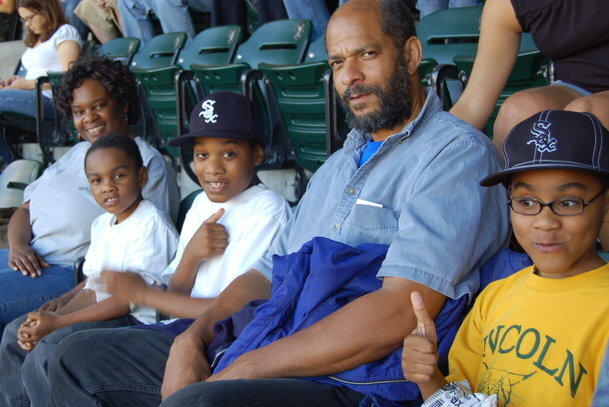 My family enjoying a day at the White Sox baseball game one summer. Black love starts at home! This has been a favorite time for me since I was a young girl growing up in Detroit. I love learning about and recognizing all the important men and women in Black History who don’t get the knowledge they deserve. I am glad I now have the understanding that God has a plan for his people and the most important thing is for ALL people to seek first the kingdom of God! This year for Black History month I hope all can take advantage of the deal I have running now on LIFEBOOKER.COM. Come get on your healthy program and get a ZTYO Compass scan reading. You can also start a good detox program and get an herbal wrap – all for one price!!!! Go to link below for this GREAT DEAL!!! This is also a time to take care of your heart. Here are some past articles I’ve written on High Blood Pressure. Click on headlines below to read full articles.